Monica Fernandez, MMS, PA-C, presented the Virtual Community Health Center (VCHC) to the American Osteopathic Association of Medical Informatics (AOAMI) at the 119th Osteopathic Medical Conference & Exposition (OMED), Seattle, Wash. This presentation explained the development of the VCHC, the stranding of the patients into 10 distinct families, and five ethnicities, in an effort to present cases that are ethnically diverse and modern. A.T. Still University’s School of Osteopathic Medicine in Arizona (ATSU-SOMA) pioneered a nationally recognized innovative approach to training medical students in and around federally qualified community health centers (CHCs) – America’s healthcare safety net providers. 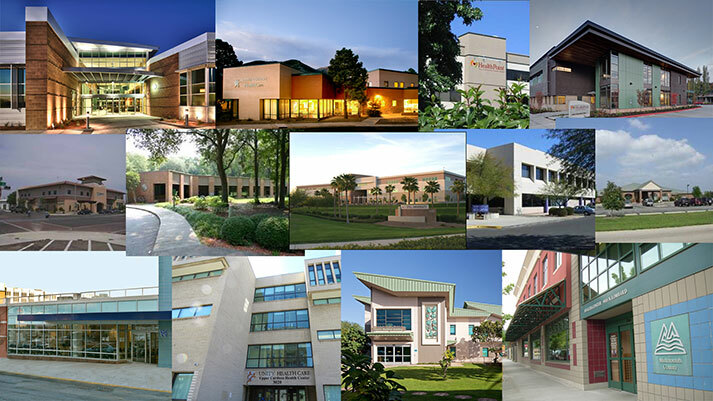 The VCHC project orients first- and second-year medical students with clinic duty at a virtual clinic, similar to the 12 ATSU-SOMA CHC campuses pictured above. Nationwide, CHCs provide care for 20 million patients now and anticipate growth that cannot be met through current training, recruitment, and retention. Significant and dramatic change will be required to meet the goals of quality, access, cost, and consumer and provider satisfaction.